Our own Kat MacNamara (Clary on upcoming Shadowhunters TV show) was the guest judge on Food Network’s Cake Wars. This Hello Kitty inspired episode aired today, leaving us wondering how long ago it was filmed, as Kat is filming Shadowhunters at the moment in Canada and also has blonde hair in the Cake Wars episode, when she restored her hair back to its natural red for Shadowhunters in May. 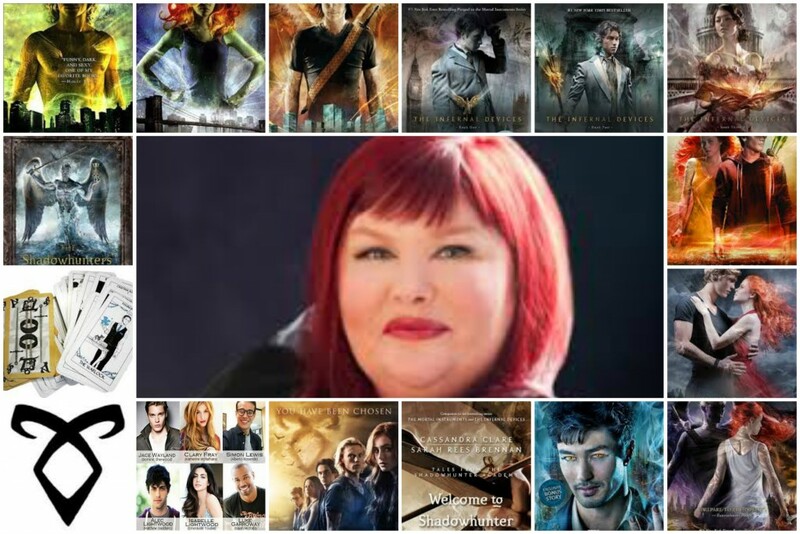 Happy 42nd birthday, Cassandra Clare! So glad you wrote all of these amazing books for us! Hey everyone, my name is Jillian, and I am obviously a HUGE fan of Cassandra Clare’s books. I have read every Shadowhunter book she has produced, form The Mortal Instruments to the Shadowhunter’s Codex. If you’re unfamiliar with her books, they are about a group of supernatural beings that are half-human, half-angel. They basically fight demons and save the world. All of her books feature some of the same characters and descendants/ancestors of families from other books. Go read some of those and come back when you can say you hate Cassandra Clare. 🙂 For those of you who have read the books, this website will update you on her upcoming books, cool Shadowhunter products, funny pictures, and more! If you have any questions about the series, please comment and we’ll figure out the answers together!